All prices are in Canadian dollars. We use the total number purchased (ELM460P + ELM460SM) for the calculation. 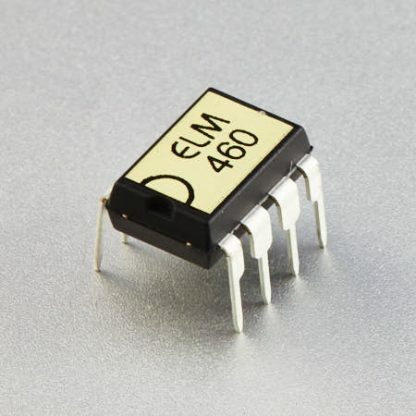 The ELM460 is a complete astable oscillator circuit in an 8 pin package. The circuit (impossibly!) requires no external components to operate, as all timing is generated internally. Immediately after power-up, the ELM460 begins to oscillate continuously at a frequency determined by the logic levels on the configuration inputs. At the end of every period, the circuit again reads these configuration settings, and automatically adapts to any changes that are made. Two outputs are provided, an active high output and it’s logical inverse. The circuit output is always a 50msec pulse, independent of the time period selected.